What's a cross-cultural discipler? It's someone who crosses distinct cultural barriers - whether at home or abroad - to share the gospel and develop other effective Christian disciples. Think of the apostle Paul who was born into a Jewish heritage but preached in Greece and Rome among other places, or modern day missionaries, both short-term and long-term, who bravely go where God sends them despite the challenges of language and lifestyle differences when they get there. 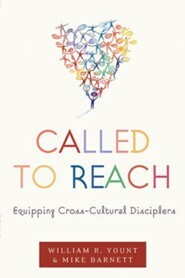 Called to Reach is a much-needed book of encouragement and training for cross-cultural disciplers new and old. Based on the authors' dynamic experiences, it defines seven characteristics that best enhance the effectiveness of disciplers in overcoming cultural barriers and emphasizes the importance of personally growing in spiritual maturity with every outreach opportunity. Throughout, Jesus is presented as the model cross-cultural discipler, for He left the culture of Heaven to disciple us in our earthly culture. What’s a cross-cultural discipler? It’s someone who crosses distinct cultural barriers—whether at home or abroad—to share the gospel and develop other effective Christian disciples. Think of the apostle Paul who was born into a Jewish heritage but preached in Greece and Rome among other places, or modern day missionaries, both short-term and long-term, who bravely go where God sends them despite the challenges of language and lifestyle differences when they get there. Called to Reach is a much-needed book of encouragement and training for cross-cultural disciplers new and old. Based on the authors’ dynamic experiences, it defines seven characteristics that best enhance the effectiveness of disciplers in overcoming cultural barriers and emphasizes the importance of personally growing in spiritual maturity with every outreach opportunity. Throughout, Jesus is presented as the model cross-cultural discipler, for He left the culture of Heaven to disciple us in our earthly culture. Mike Barnett is Elmer V. Thompson professor of Missionary Church Planting at Columbia Biblical Seminary and School of Missions in Columbia, South Carolina. He and his wife served twelve years with the International Mission Board. Barnett’s specialties include church planting, business as missions, and the history of global Christianity. 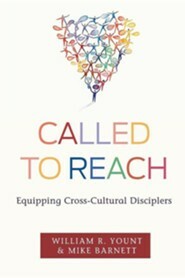 I'm the author/artist and I want to review Called to Reach: Equipping Cross-Cultural Disciplers - eBook.